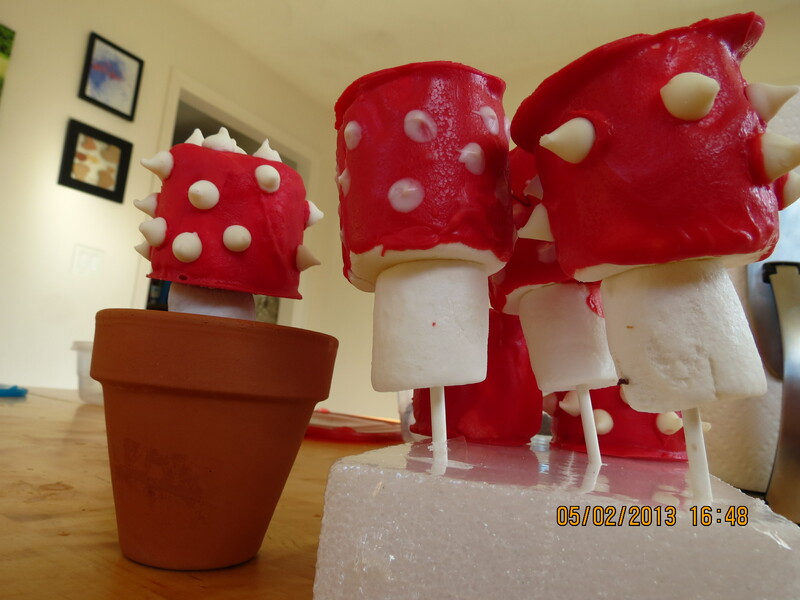 I think everything on a stick is fun- fun to make and fun to eat. Especially if kids are involved. 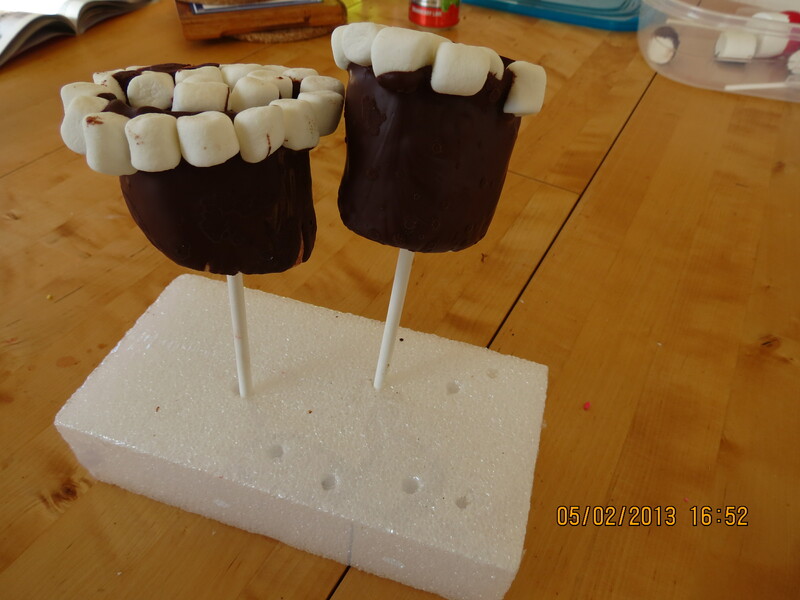 So I took Marshmallows, melted white and dark chocolate, and started dipping. 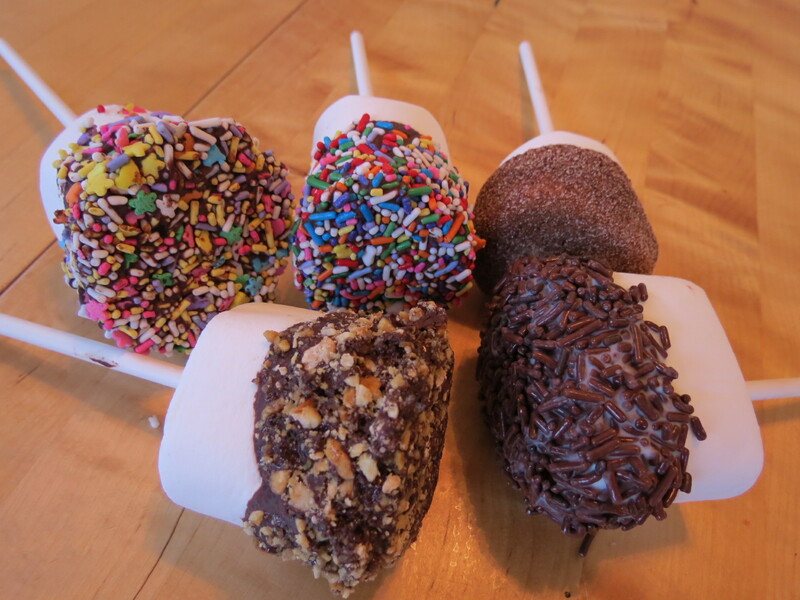 sprinkles – rainbow for the dark chocolate and chocolate for the white. And for the hot chocolate milk with marshmallows lovers…. Just dip in hot milk. 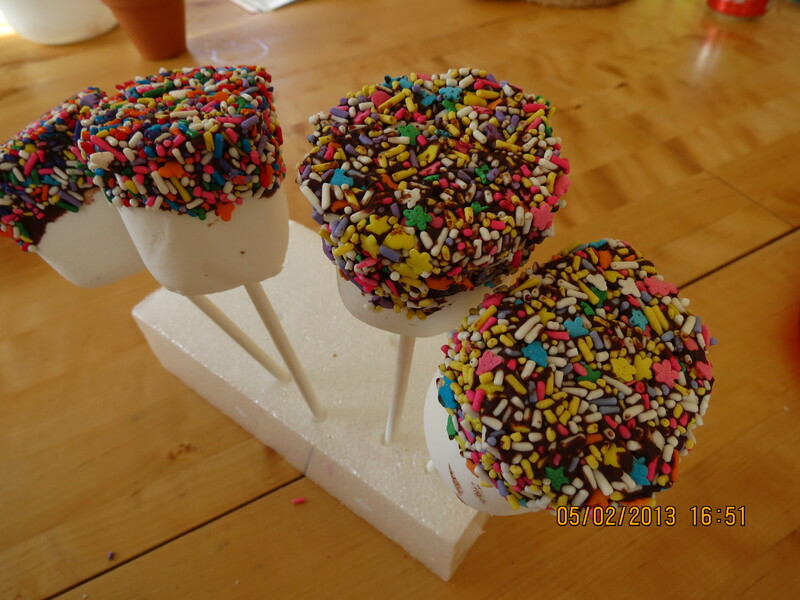 Almost anything goes on marshmallows…..
And your creativity can take you anywhere…. The mushroom is in Brownie soil…. 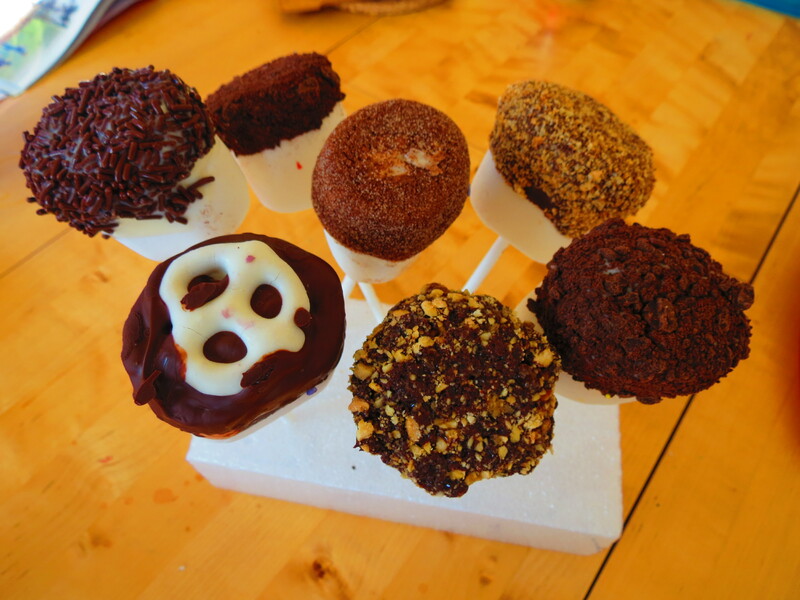 They can be made Dairy Free, Gluten Free and in the various sizes of the marshmallow…. Just lick your fingers and enjoy….. Thanks for stopping by my lifestyle blog, https://bmoreenergy.wordpress.com! 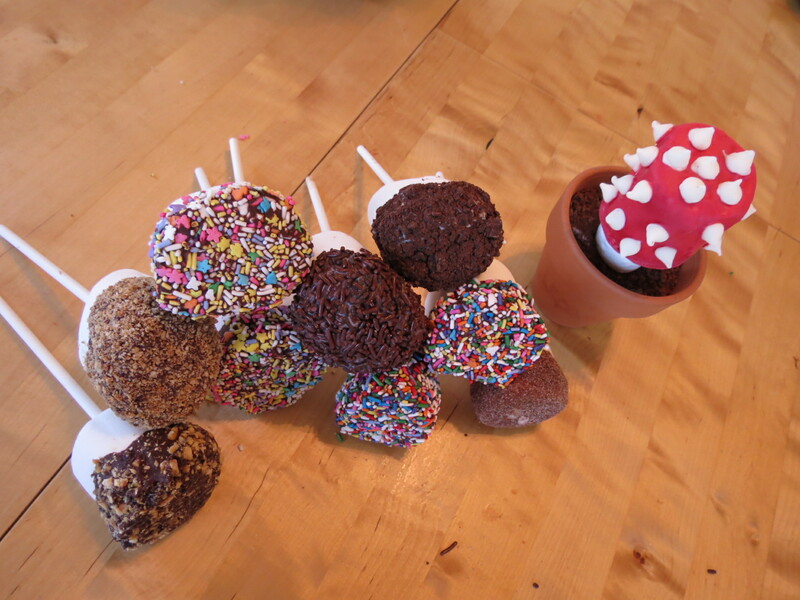 I might just have to make these treats with the kids in my after school class. Yum! Mmmmmm…I agree! Anything on a stick is great fun. Thanks for checking out JoyfulParentingWEC.wordpress.com !